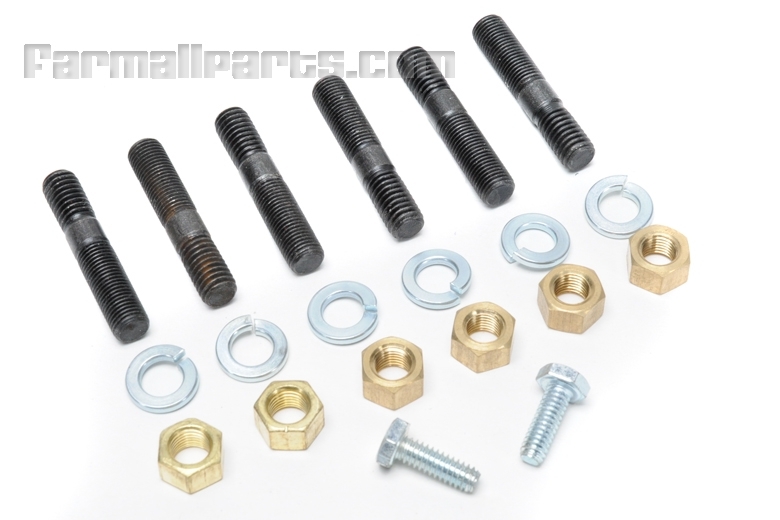 Kit includes everything needed to mount a manifold to a Farmall H, Super, 300, 350 and many others. We need to know if your tractor has 5/16" or 3/8" studs so you get the correct kit. 6 manifold studs (coarse into block, fine on to nut), 6 brass nuts, 6 grade 5 split washers, and 2 grade 5 governor to carburetor bolts.